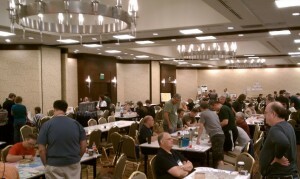 Few people have heard of dragon flight, a convention in Bellevue that is held every august. It is not really about vendors or artists, it is really more about 72 hours of non-stop gaming and learning about gaming and the gaming culture out there. Dragon Flight was very cool and let Comics Forge come in for a visit on Saturday to check it out and see what happens at a gaming convention. Frankly it was really cool, as I grew up on Dungeons and Dragons, as well as a space based game called Traveler. Seeing some of the amazing games running showed me that games have come a long way, and take many forms, not just video games or casual games. 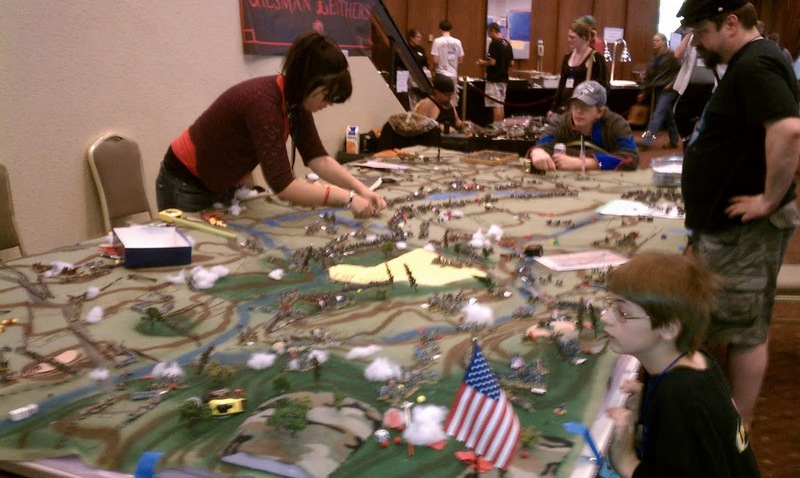 There are still kids and adults that play board games like D&D, chariot racing, car racing, battle strategy games, and a ton of other games out there that I didn’t know about. What was cool was seeing all ages there and games that represented all ages. With video games I figured that a lot of people simply stopped playing regular board games or imagination games, but I was wrong, there were at least 200 to 300 people there across all ranges of ages, laughing, and sometimes getting into heated arguments if your second level paladin could really do that to a baby dragon. It was a total flash back to high school, and totally awesome. It is good to have them here, but they need to do a better process of getting the word out, we stumbled across them accidentally and didn’t even know this was happening when we pay attention to the convention scene here in Seattle pretty heavily. Needless to say if you have time next summer, this is a fun for all ages who like games to come and attend. They have food, drink, games, and the people who are running the show are very cool about people dropping in and saying hello. 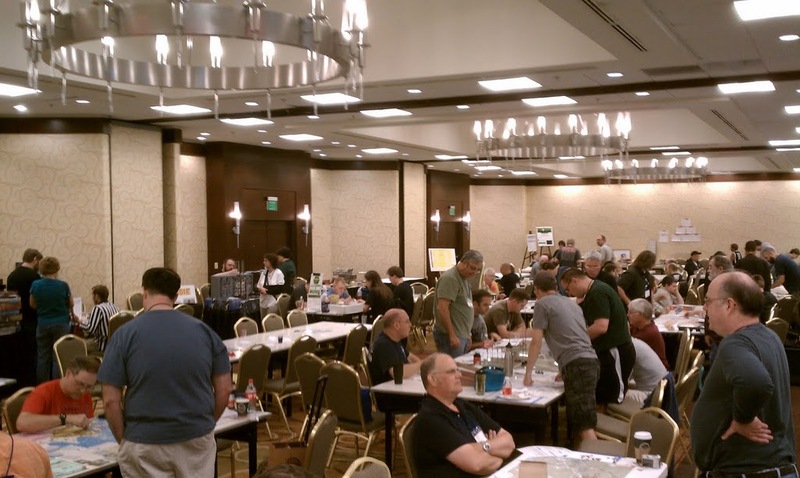 Everyone was having an awesomely good time, and there were plenty of places to camp out, plop down your game board and get in a solid 3 days of gaming with nothing to worry about. No one was going to tell you to go to bed.